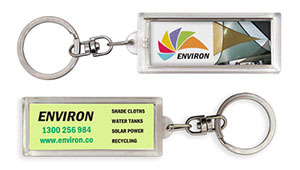 Solar powered flashing LCD keyrings with full colour image inside, making your logo come to life! The ultimate Eco- friendly product. Available in a range of styles & sizes. Flashing keyring on one side, print on reverse.